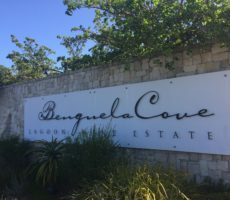 It took less than 5 minutes for the kilometre hop from Hamilton Russell to Bouchard Finlayson. 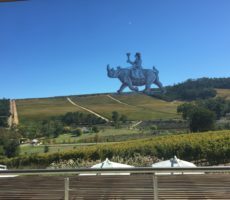 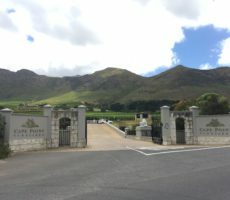 Cape Town, my start point for the day to explore wines of the Hermanus region, was over an hour and 120 kilometres away. 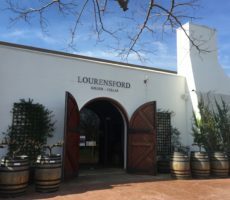 I was pleased for the short journey as Bouchard Finlayson, like Hamilton Russell, closed for tasting at 1pm on Saturdays. 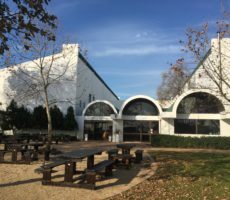 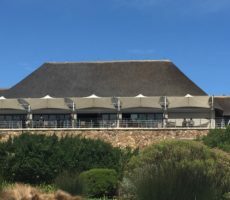 The iconic homestead roof sat like a thatched hat on the hillside above as I entered the rising drive towards the Tasting Room. 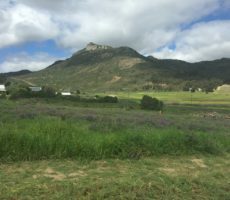 Behind, the mountains with their South-East facing slopes were clothed in grassland and trees in the autumn sunshine. 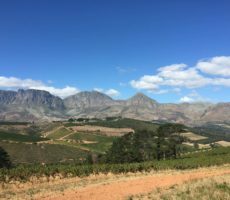 The views all around were glorious and it came as no surprise that Hemel-en-Aarde means ‘heaven and earth’. 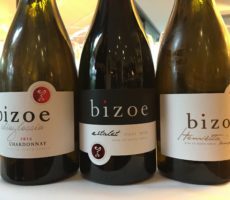 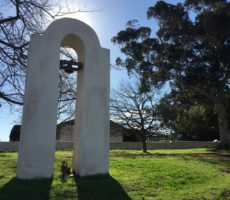 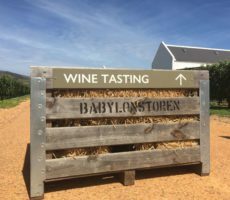 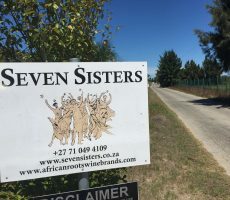 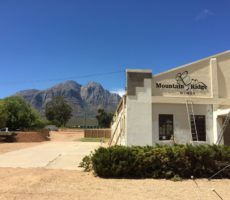 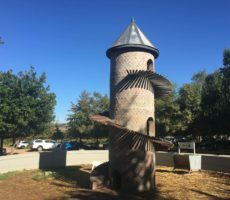 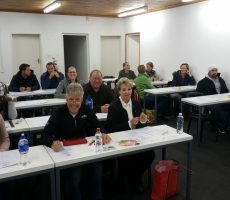 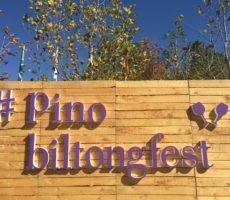 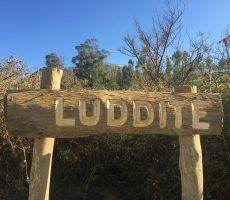 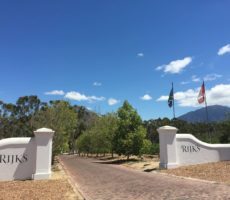 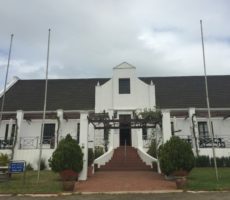 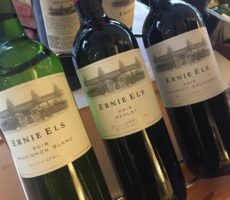 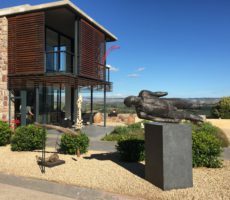 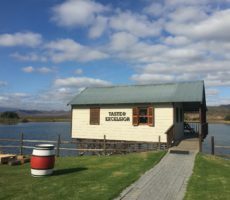 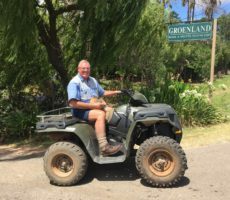 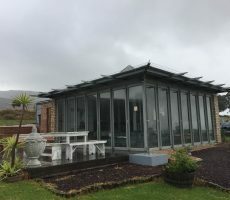 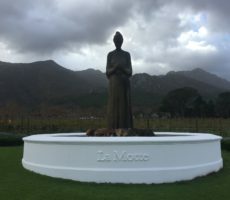 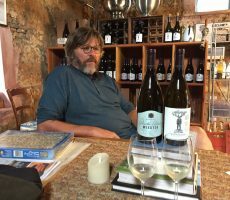 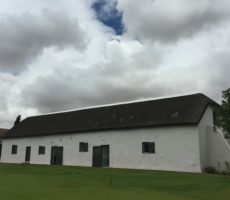 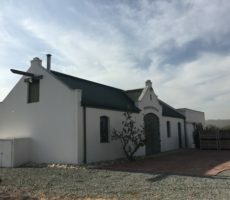 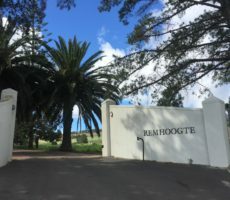 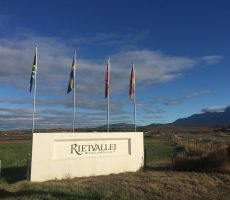 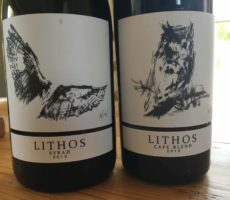 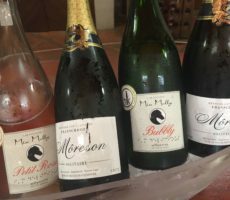 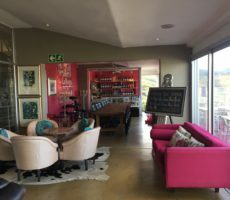 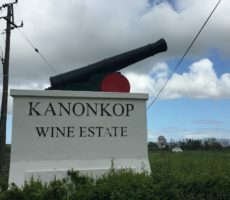 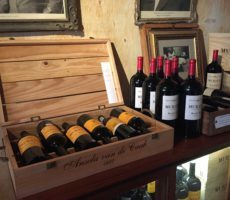 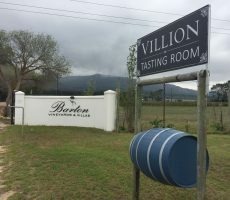 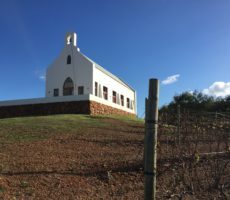 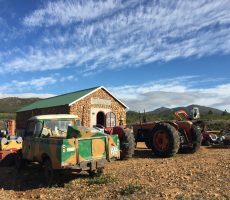 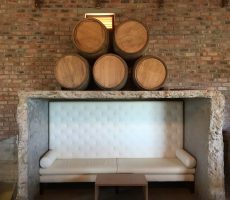 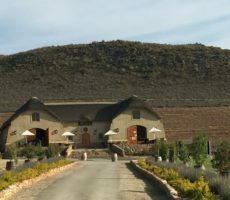 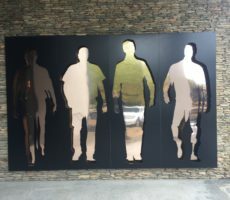 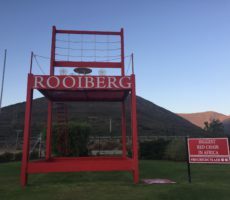 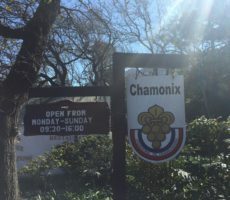 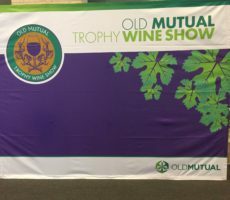 What perhaps is surprising is that it took until 1995 and 1996 for Anthony Hamilton Russell and Peter Finlayson to pioneer the first wineries in the Hemel-en-Aarde Valley. 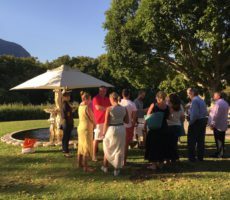 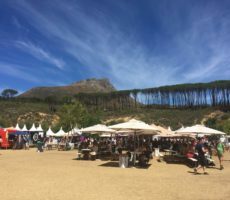 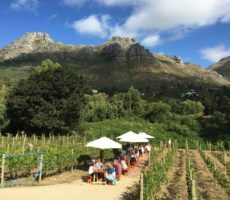 The slopes behind the Walker Bay, closer than 2 kilometres away, make for one of the coolest wine-making regions in the Cape. 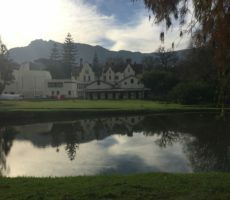 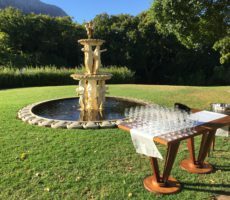 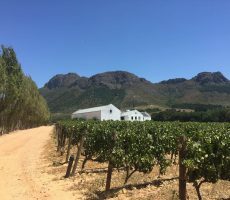 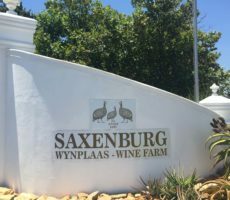 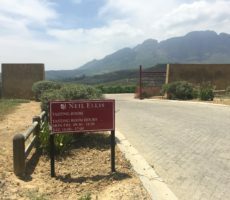 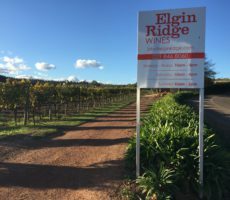 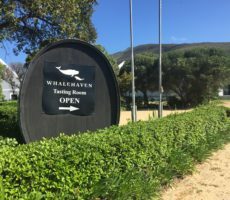 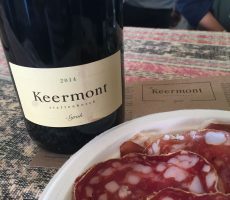 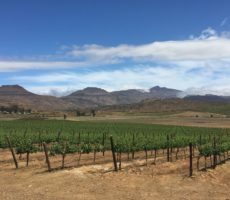 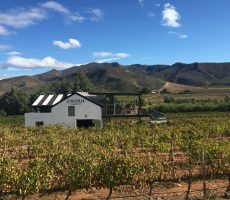 Cool breezes from Antarctica, mild summers, frost-free winters, sun-facing slopes and a duplex soil structure make for a unique terroir that is ideally suited to the Chardonnay and Pinot Noir varietals, for which the Walker Bay region is renowned. 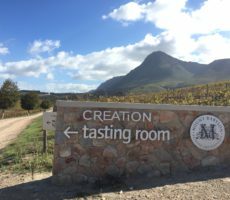 Heaven doesn’t only meet earth here. 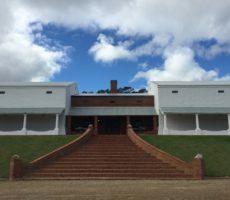 Bouchard Finlayson blends ancient with modern, whether in origin or viticulture or viniculture or conservation or architecture. 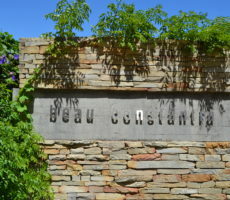 The vineyard was established in 1989 by Paul Bouchard (from Burgundy in France) and local wine-maker Peter Finlayson. 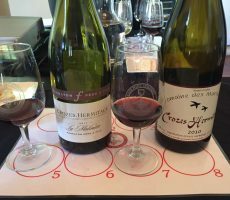 The 22 hectares of vines – more than half dedicated to Pinot Noir but with some rare European varietals too – are grown using the Burgundian approach of high density planting with low yields from individual vines. 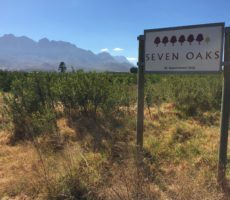 Leaf exposure is encouraged and root growth restricted to improve fruit concentration. 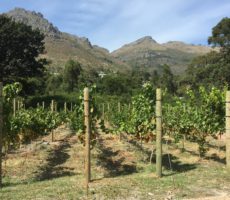 The ‘double Guyot’ system of vine trellising is used that further concentrates the raw material for wine-making. 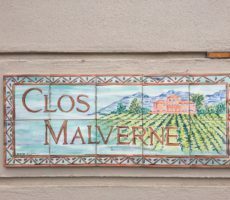 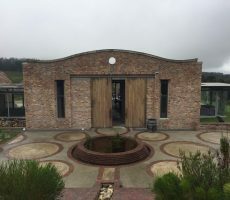 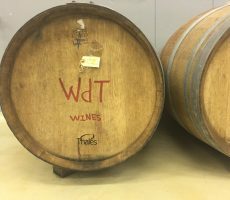 The wines are made using old and new techniques, both concrete and stainless steel tanks together with French oak barrels. 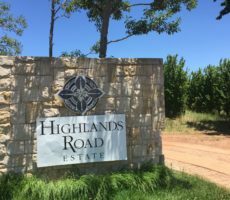 Conservation is a high priority with indigenous vegetation having been removed from most of the 122 hectare estate. 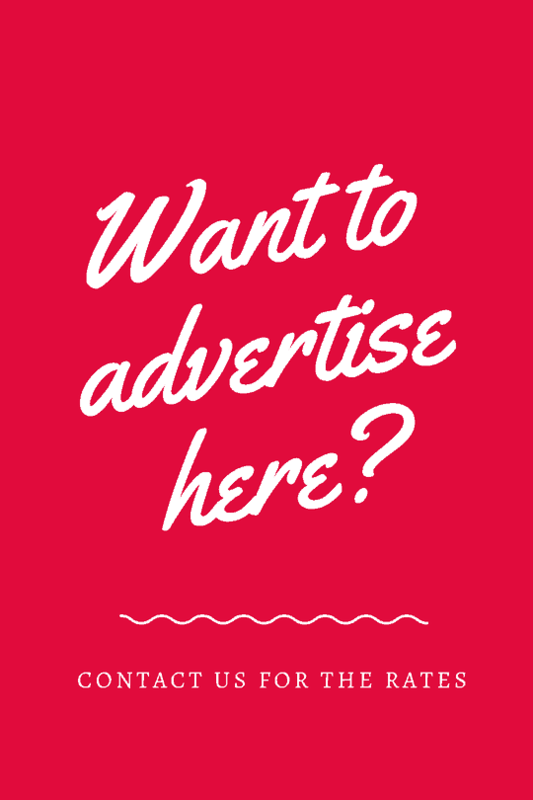 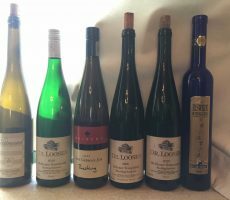 Small amounts remain for research purposes only. 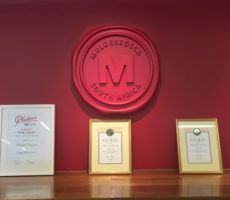 Modern, sustainable practices are employed to give Bouchard Finlayson environmental accreditation. 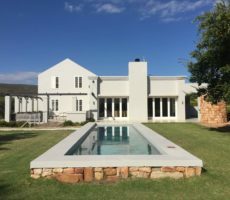 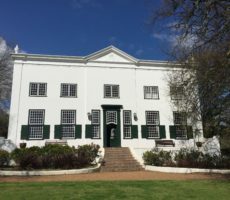 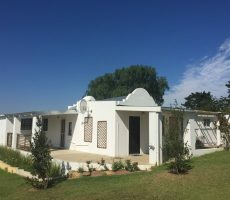 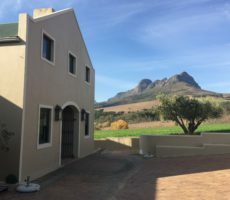 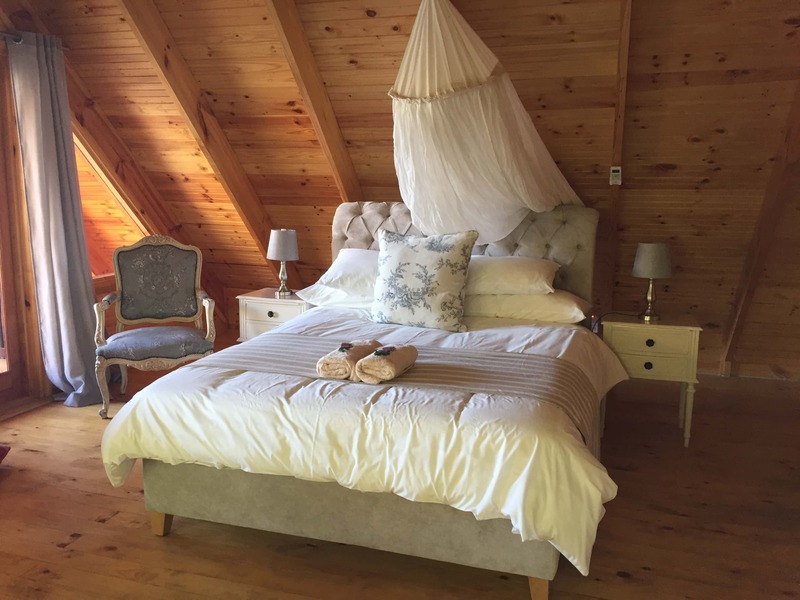 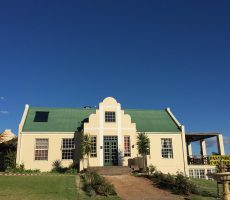 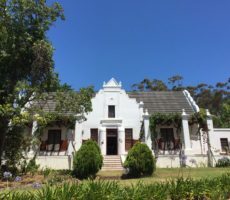 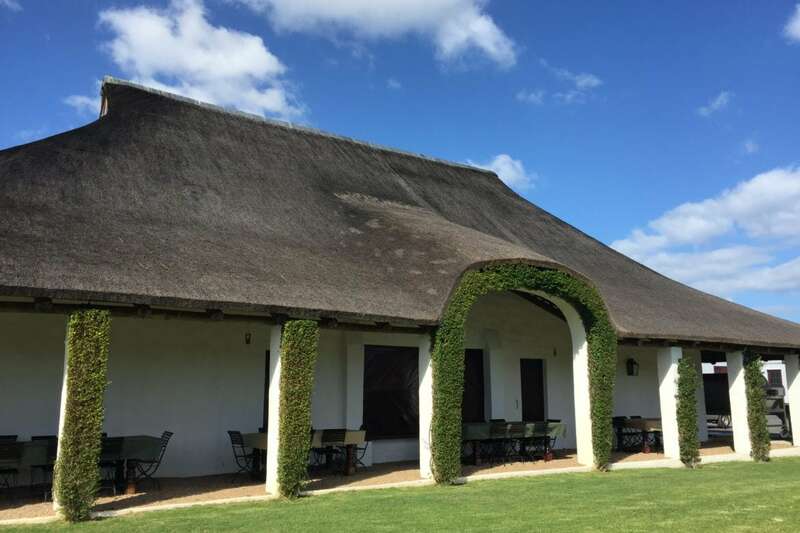 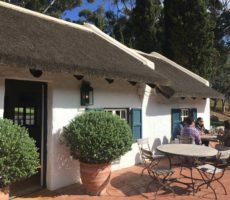 The homestead even blends traditional Cape Dutch with modern architecture in its design. 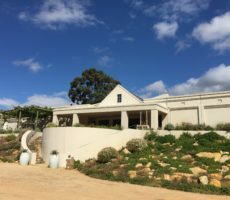 This obvious care, passion and attention to detail follow through to the award-winning wines. 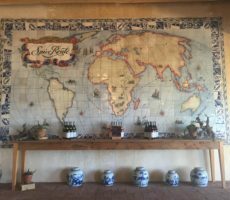 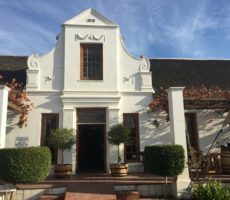 Amore welcomed me into the elegant Burgundy-style Tasting Room, my eyes taking time to get accustomed to the subdued lighting from the bright autumn sunshine outside. 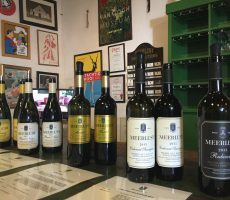 I opted for the R40 tasting (6 wines) rather than the R20 (3 wine) offering as time just allowed before closing. 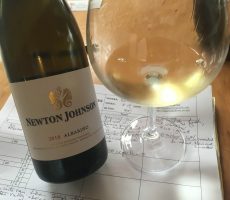 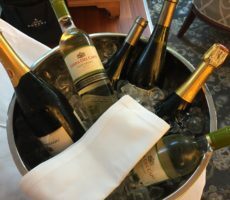 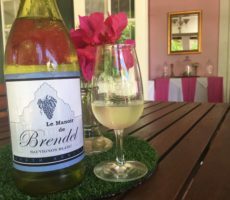 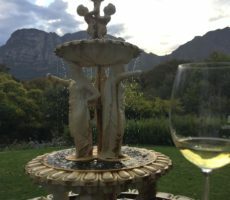 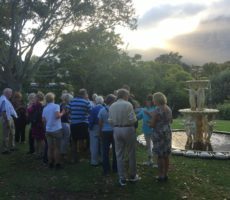 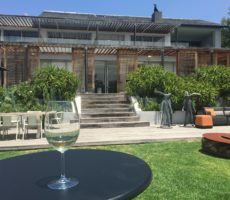 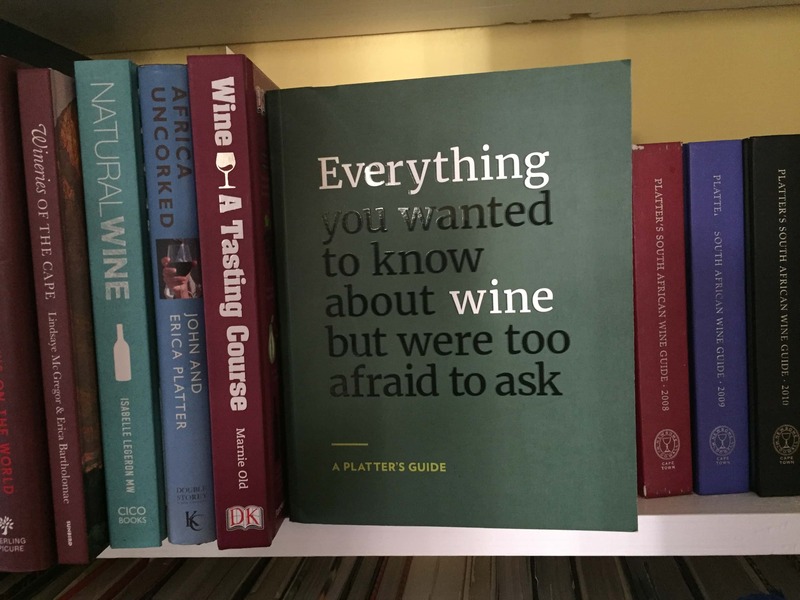 I preferred the higher priced Reserve Sauvignon Blanc (containing 14% Sémillon) to the single variety Sauvignon Blanc with its greater breadth and complexity of warm tropical fruitiness that finely balanced the citrus notes. 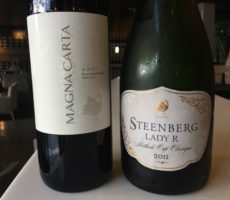 I bought a bottle of the latter for the Society tasting of Elgin and Hermanus wines on 18 May. 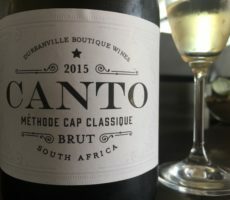 The ‘Sans Barrique’ Chardonnay scored equally high, as the stewed fruit aromas, unchanged by oak, followed through to a creamy mouth feel on the palate. 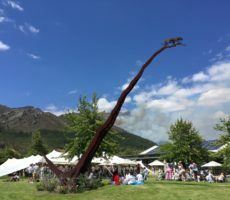 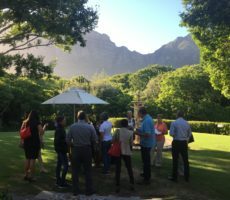 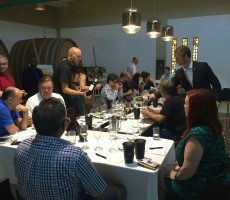 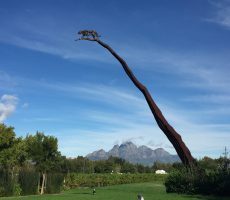 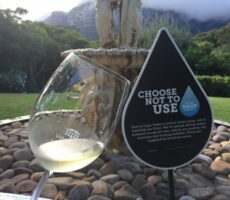 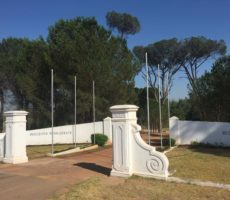 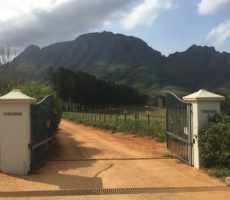 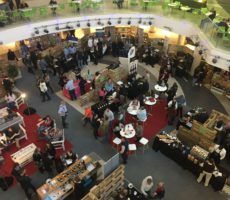 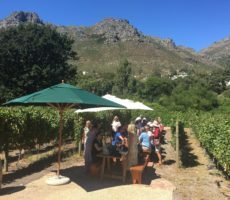 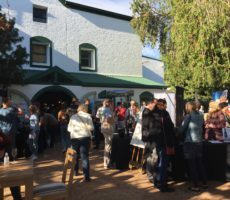 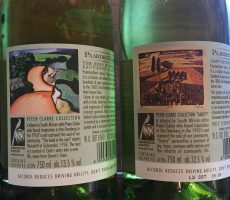 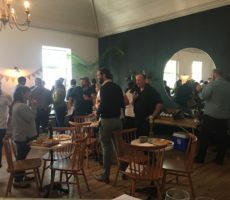 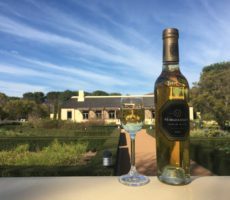 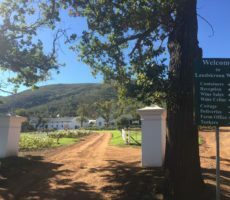 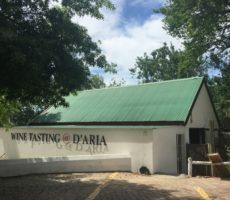 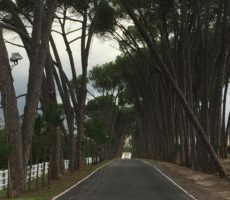 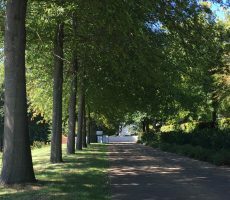 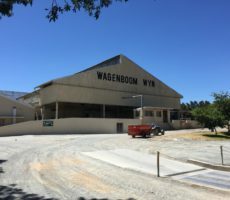 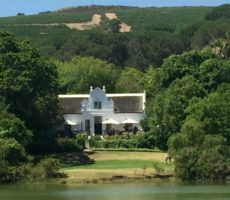 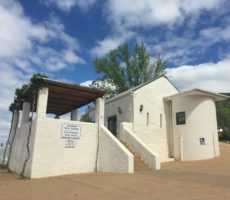 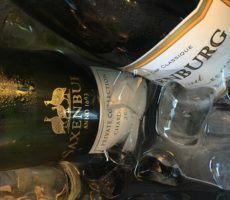 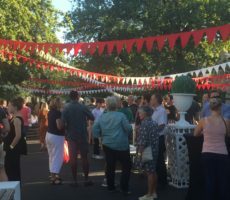 By comparison, the wooded Crocodile’s Lair Chardonnay – made also from grapes behind the village of Villiersdorp high in the Elandskloof Mountains and 80 kilometres from Hermanus – was more towards pale gold than pale straw in colour, smooth in texture, and with added caramel and nougat aromas on the nose. 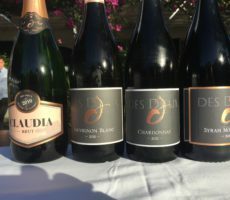 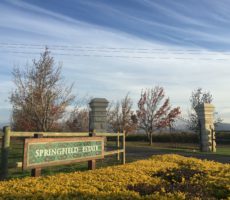 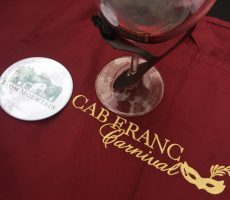 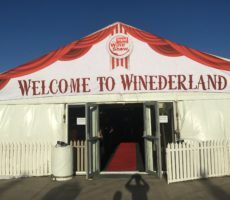 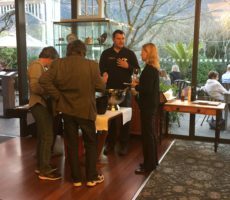 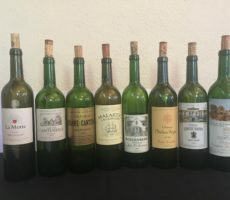 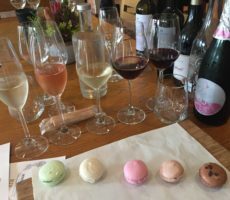 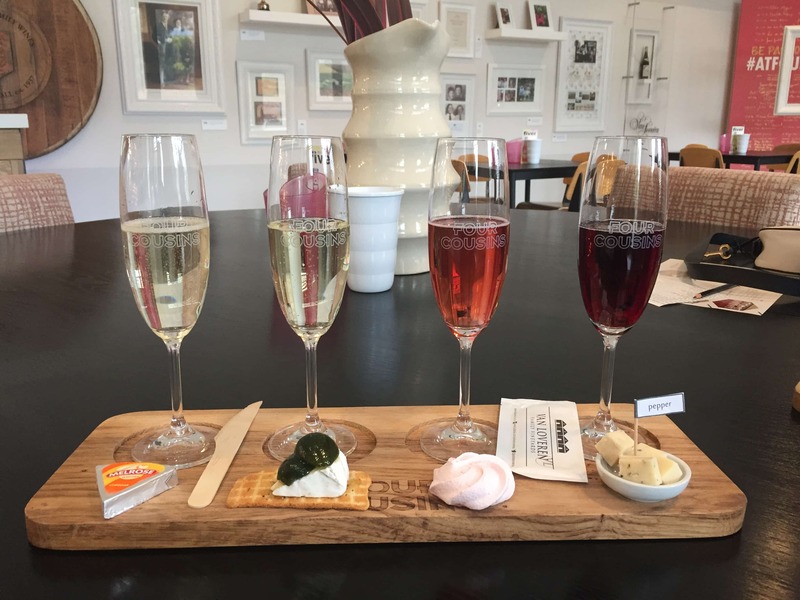 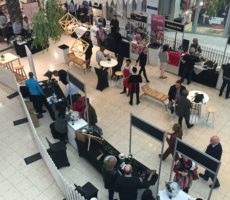 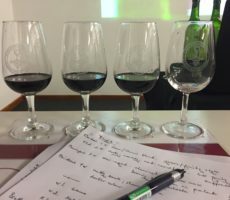 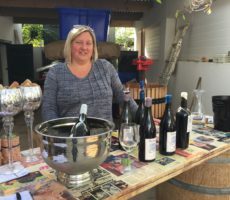 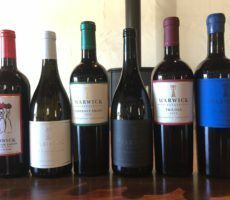 The red wines sampled were from the top of the Bouchard Finlayson range, save for the R892 Tête de Cuvée Galpin Peak Pinot Noir that was not for tasting. 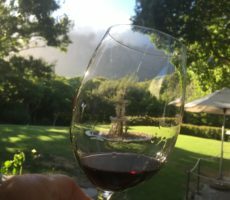 The more moderately priced (R329) Galpin Peak Pinot Noir, though outside my budget for today, was my favourite wine of the tasting. 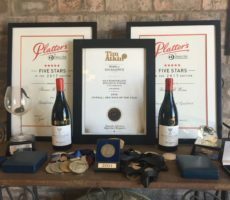 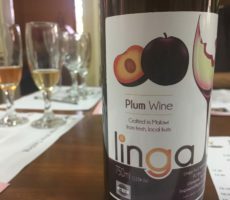 A multiple award-winner, together with 5 Platter stars, it was all a Pinot Noir should be: classic deep pink to pale ruby in colour; dark sour plum and red cherry on the nose; dry with crisp tannins and pepper blackberry flavours on the palate. 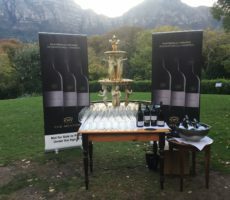 It was a shame that the final wine of the tasting – the Hannibal Italian/French blend – did not work for me. 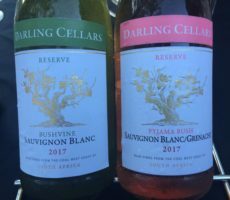 I applaud the creativity for this unusual varietal mix and rated it highly but I just didn’t enjoy it. 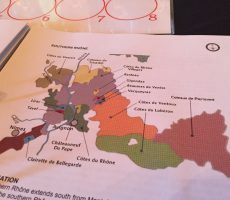 I could taste the herby earthiness of the Italian grapes with the flinty, sweet spicy fruitiness of the French cultivars. 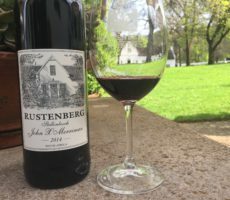 It may have been a marriage of varieties too far for me or simply too young (2015 vintage) to drink now. 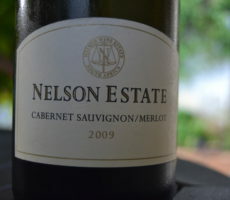 Dry tannins were too forward on the palate which spoiled an otherwise good balance for my taste. 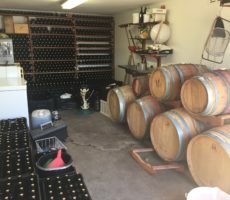 Amore was kind enough to let me overstay my welcome and to see the cellar as she tidied the Tasting Room before closing. 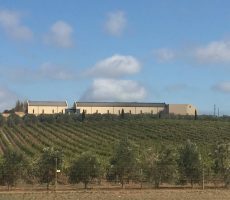 Bouchard Finlayson is a vineyard I recommend to visit. 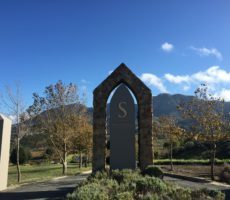 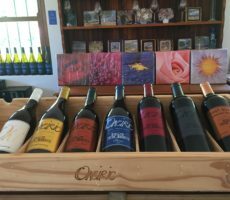 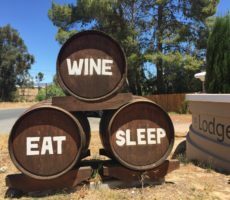 The quality wines obviously benefit from the high attention to detail and care in their making, from terroir selection through viticulture to the wine-making process itself. 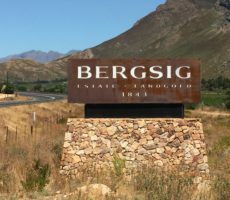 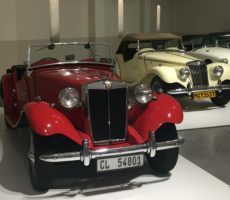 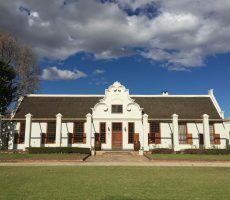 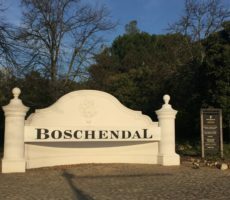 The Burgundy style too makes for a refreshing change to the heavier Bordeaux-style wines so prevalent in the Stellenbosch and Franschhoek vineyards elsewhere in the Cape. 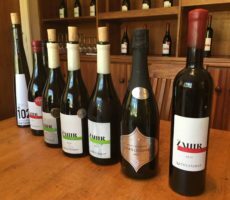 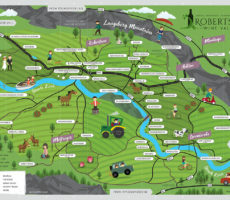 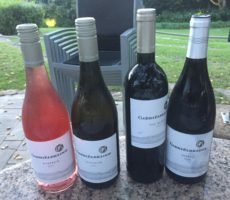 The red and white wines challenge the single variety and blended wines from Hamilton Russell and Ashbourne for quality and, being lower priced, give good value for money. 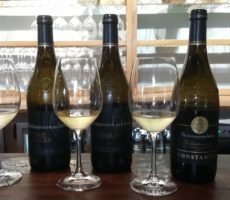 In sum, Bouchard Finlayson wines are indeed from where heaven meets earth.